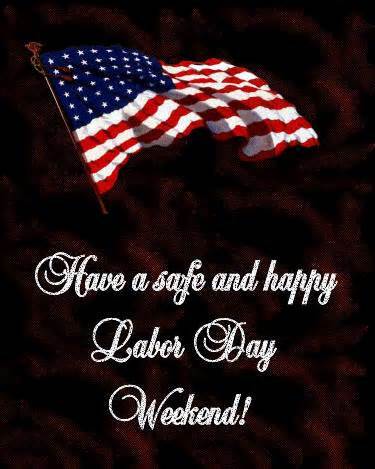 Well friends, I just wanted to take a minute before I head out for our Labor Day Weekend Swap Meet Adventure 2013 and say that I hope everyone is able to do something fun and enjoy a little time with their families. Make sure you wear as much white as you can over the next few days because after Monday it’s another nine months until white becomes fashionably acceptable again. As I prepare to head out of town for a long weekend of camping like millions of families across the country are doing I find myself asking “when does the relaxing begin?” Does anyone else need a vacation just to recover from preparing the family for a camping trip? I was up until midnight last night just making sure the camper was packed up, loaded with food, and everything was in working order and I’m pretty sure packing for my 21 month for four days old requires more than the other three of us put together – on the bright side her clothes are smaller so they don’t take up that much room. That being said once we get on the road this afternoon, knowing I have no phone or internet service for four days will make it all worth it. I won’t be posting over the weekend and hopefully everyone will be having too much fun to have the time to read it if I did. No worries though, I will be back next week with re-cap on all the treasures I found at the swap meet and any exciting stories or near death experiences that may occur over the next 96 hours. Until then have fun and be safe!